Fun N Activity Day was celebrated by the students of Pre School and Pre Primary on 30th November 2018 with transport as their theme. Kids were beautifully dressed up in any one colour of the traffic light. Discussion on Road Safety rules was being done with the kids and they were encouraged to spread the awareness for everyone’s safety. Little crafty hands also prepared a stick puppet of traffic signal. Kids were also encouraged to participate in different races where they had to follow the traffic rules to reach the target. 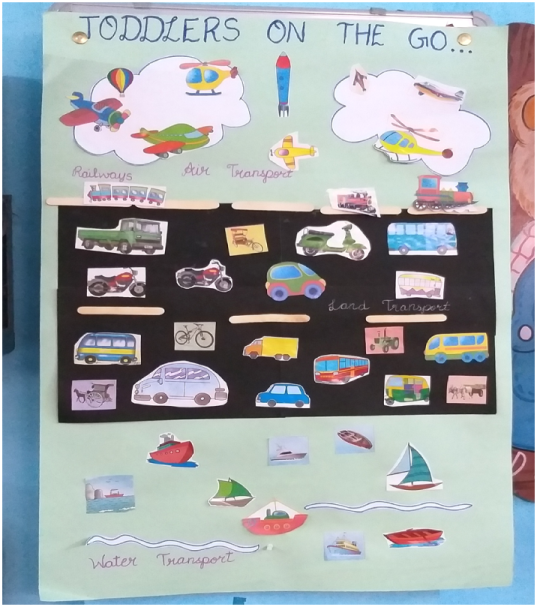 Collage making activity was done to reinforce categorization of means of transport which they witness in their surroundings. Rhymes related to traffic rules and sounds of different vehicles were also enjoyed by the kids.